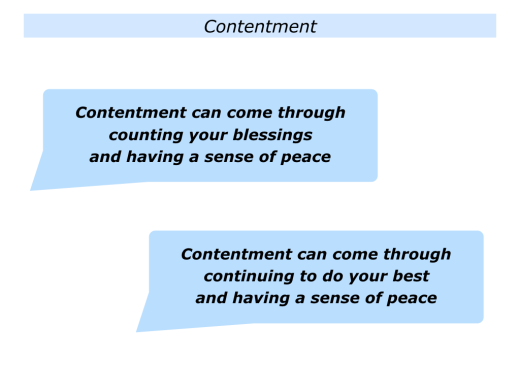 Contentment can be the precursor to feeling at peace. It can come from counting your blessings and appreciating what you have in life. This can result in having a sense of peace. 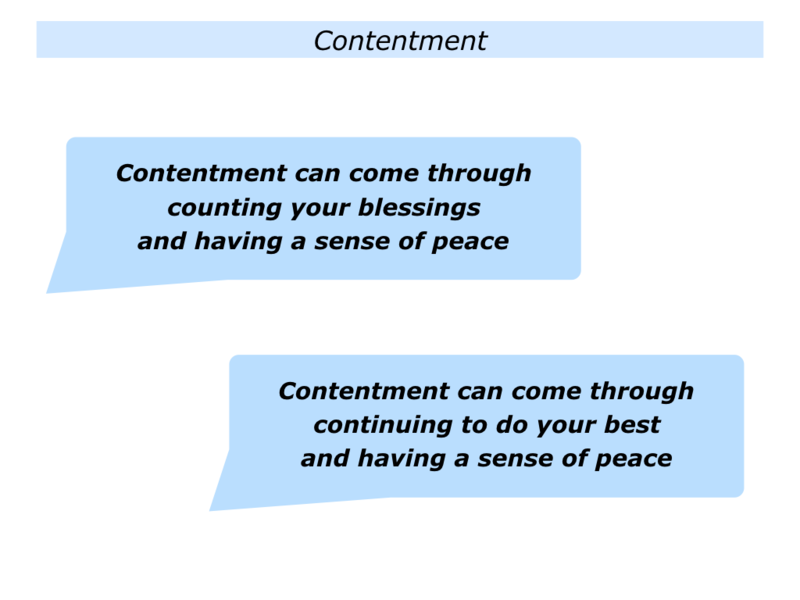 Contentment can be the pay off you get from continuing to do your best in life. It can come from building on your strengths and feeling you have given everything in a situation. This can result in having a sense of peace. “I am sometimes able to sit down and count my blessings. On the other hand, I am also driven to improve. “The challenge I have is to know when to focus on each of these themes. I need to get the right blend. If you wish, try tackling the exercise on this theme. This invites you to describe the times when you get a sense of contentment. 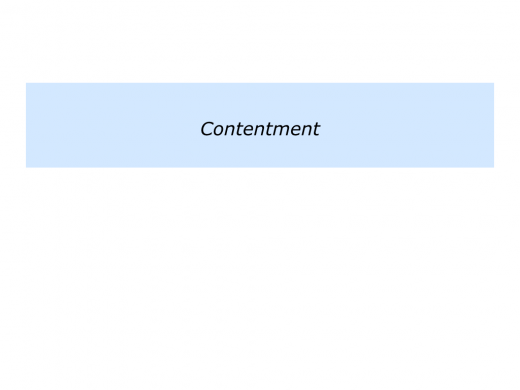 Let’s explore these two approaches to having a sense of contentment. These are through counting your blessings and also continuing to do your best. Contentment is the greatest form of wealth. The Taoist approach shows how contentment applies to societies and individuals at ease with themselves. Here is one version of how Verse 46 of the Tao Te Ching is translated. warhorses are bred outside the cities. and the worst of all faults is wanting more – always. can be found in your contentment. Today there is lots of research about what makes people happy. One key finding is that happy people often have a sense of gratitude. Brother David Steindl-Rast wrote the following words in his book Gratefulness, The Heart of Prayer. Today there are many books and websites that explore how people can be happy. Some remind us of the eternal principles; some relate the latest findings from science; some combine both elements. The Mayo Clinic, for example, has an article called How to be happy: Tips for cultivating contentment. Here is an introduction to the piece. You can discover more via the following link. Only a small percentage of the variation in people’s reports of happiness can be explained by differences in their circumstances. It appears that the bulk of what determines happiness is due to personality and — more importantly — thoughts and behaviours that can be changed. The Mayo Clinic page features the work of Dr Amid Sood. The video below helps children to understand how they can use their brains to cultivate happiness. You can discover more about Amid’s work on wellbeing at his website. Contentment is crucial to feeling at ease. As many people say, however, contentment is not the same as complacency. Let’s explore another route to experiencing such satisfaction. Looking back, can you think of a time when you felt contented after doing your best? You may have experienced this after learning a skill, completing a book, delivering a project, managing a difficult challenge or whatever. 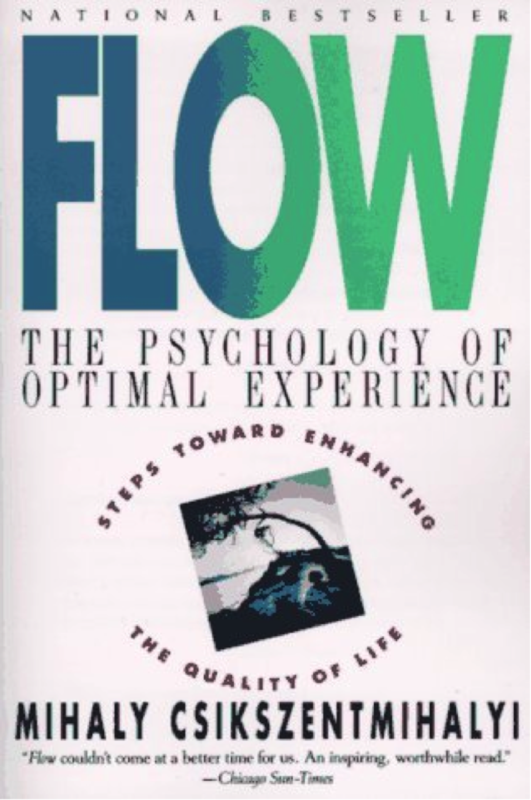 Mihaly Csikszentmihalyi described how people can experience this feeling in his book Flow: The psychology of optimal experience. He expressed this the following way. We have all experienced times when, instead of being buffeted by anonymous forces, we do feel in control of our actions, masters of our own fate. On the rare occasions that it happens, we feel a sense of exhilaration, a deep sense of enjoyment that is long cherished and that becomes a landmark in memory for what life should be like. Optimal experience is thus something that we make happen. For a child, it could be placing with trembling fingers the last block on a tower she has built, higher than any she has built so far; for a swimmer, it could be trying to beat his own record; for a violinist, mastering an intricate musical passage. For each person there are thousands of opportunities, challenges to expand ourselves. Success is peace of mind, which is the direct result of self-satisfaction in knowing you did your best to become the best you are capable of becoming. This highlights what some people see as a contradiction, but that others see as complementary sides of being human. Contentment can come from counting your blessings. It can also come from making the most of your blessings and continuing to do your best each day. Let’s return to your own life and work. How can you continue to appreciate your assets? How can you, if appropriate, keep developing? 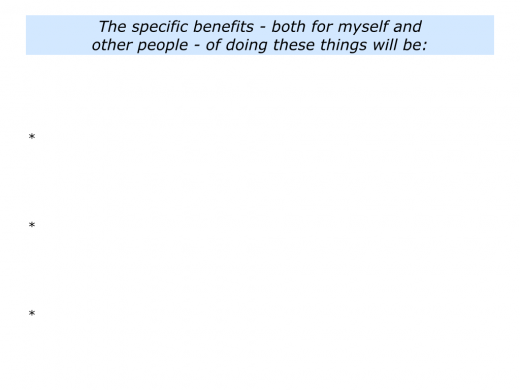 What may be the benefits to both yourself and other people? 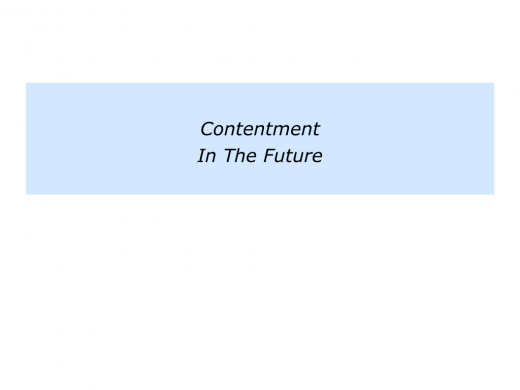 Describe the specific things you can do to try to enjoy a sense of contentment in the future.